Cousin Kate asked me for my Chive Blossom Omelette recipe and so I decided to share it here. Unfortunately, our chives are done blooming for the season – and I don’t have any other herbs flowering today, so I can’t make this recipe to photograph it right now. 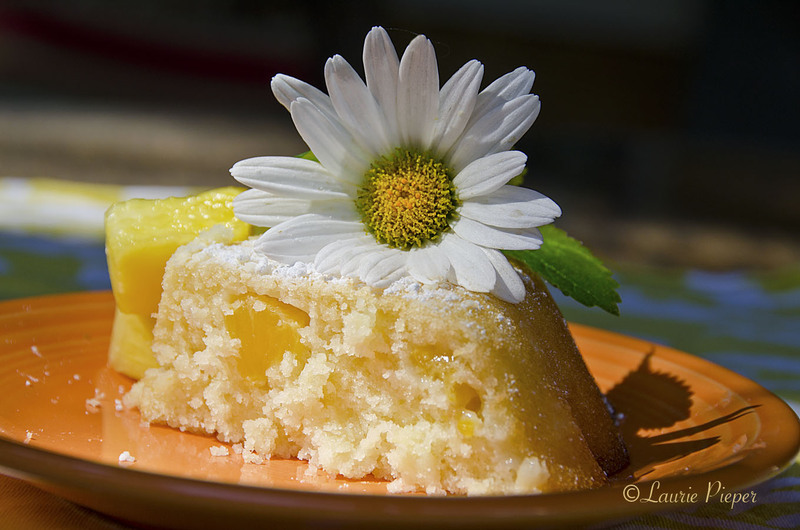 I am borrowing a chive photo from one of my very early blog posts and giving the recipe anyhow. I hope that this post inspires you to use some herbs from your garden. 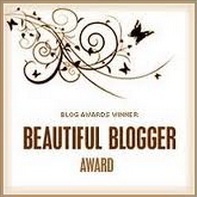 Thank you for the prompt, Kate! Clean the herbs and pat dry with a clean towel before starting. Preheat a 9″-skillet over medium heat. Add about 1 1/2 teaspoons of unsalted butter to the skillet and swirl it around until the butter just barely begins to sizzle. Immediately pour the eggs in and swirl them around the bottom of the pan. Try not to let the butter or the eggs brown. Turn the heat down, if necessary, while cooking the omelette. Spoon the onion – if using – over half of the eggs. Top with enough cheese to mostly cover half of the egg mixture. Lightly sprinkle with garlic powder, salt and fresh ground pepper. When eggs are very nearly set, top with the fresh herbs. Slide the omelette, filled half first, out of the pan and onto a warmed plate, folding the egg side over the filled side as you remove the pan. Garnish with little creme fraiche (crema), a sprinkle of fresh ground pepper and a few whole chive blossoms. Serve immediately. After working in the garden much of the day yesterday, I made Wild Daylily Gin & Tonics to celebrate the first day of summer. Here’s to summer! 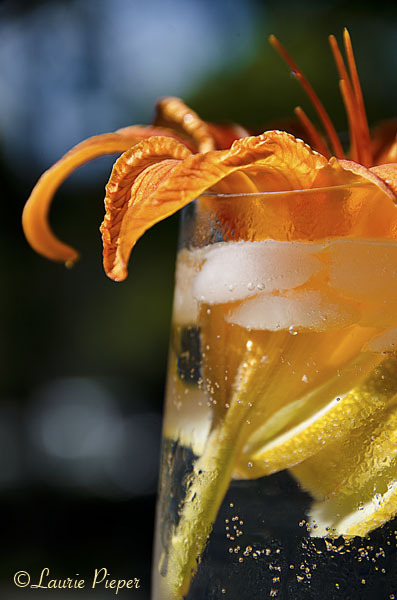 The blooms in these summery cocktails are edible and are meant to be eaten. They taste like cucumbers and are easiest to eat starting from the stem end. (1) Pick fresh Hemerocallis fulva blooms. Remove and discard the pollen covered tips from the stamens. Gently wash blooms in cold water. (2) For each G&T, fill a tall tumbler about 3/4 full of ice. Add lemon slices. Fill about 1/3 of the way with gin then top off with tonic. Gently stir. Place a daylily in the top. Enjoy! Note: Do not eat true lilies or use them as garnishes. True lilies – plants in the lillium family (e.g. Easter Lilies, Asiatic Lilies, Oriental Lilies, etc.) – are poisonous. Daylilies are not true lilies. Ones of the wild variety are edible, though occasionally someone is allergic to them. 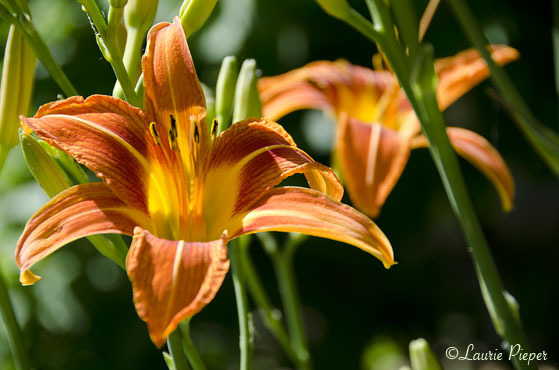 Hemerocallis fulva – wild daylilies – are the only daylilies recommended for eating because, given the many different hybridized cultivars out there, it is possible that some one or another could make a person sick. Wild daylilies, the tall orange ones that are often seen growing wild along the side of country roads, are edible. 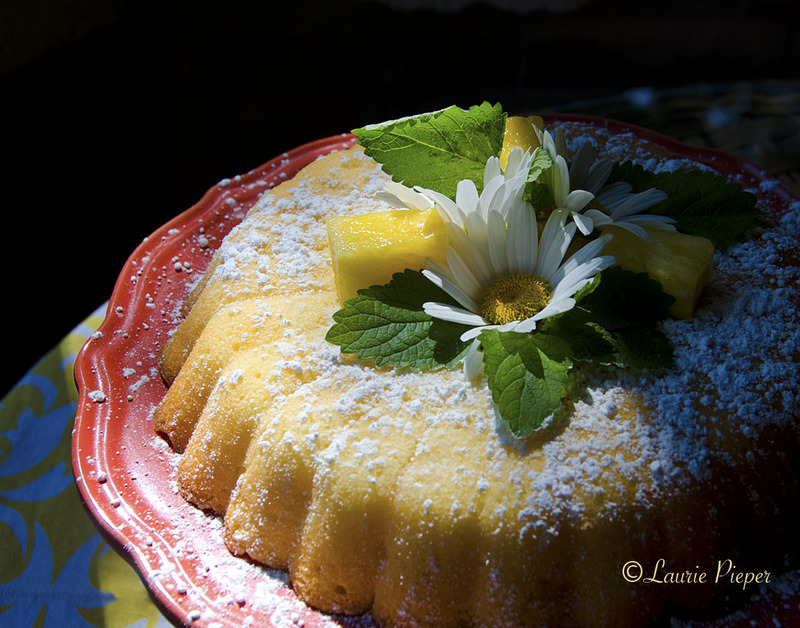 I grow them in my garden and use the blooms to garnish beverages and salads. I haven’t tried eating the tubers, but I have read in several places that sauteed wild daylily tubers are quite tasty. 1. Cook the spaghetti in a large pot of lightly salted, boiling water. 2. About half way through the cooking time for the spaghetti, put the asparagus on the stove to steam. Cook until crisp tender. Remove from pot then rinse asparagus with cold water and set aside. 3. Meanwhile, combine olive oil, vinegar, juice of 2 of the lemons, fresh ground pepper and salt. Set aside. 4. Submerge herbs in a bowl of cold water to remove any possible dirt or insects. Remove herbs and rinse well. Pat dry. Strip herb leaves from stems. Discard stems and any damaged leaves. 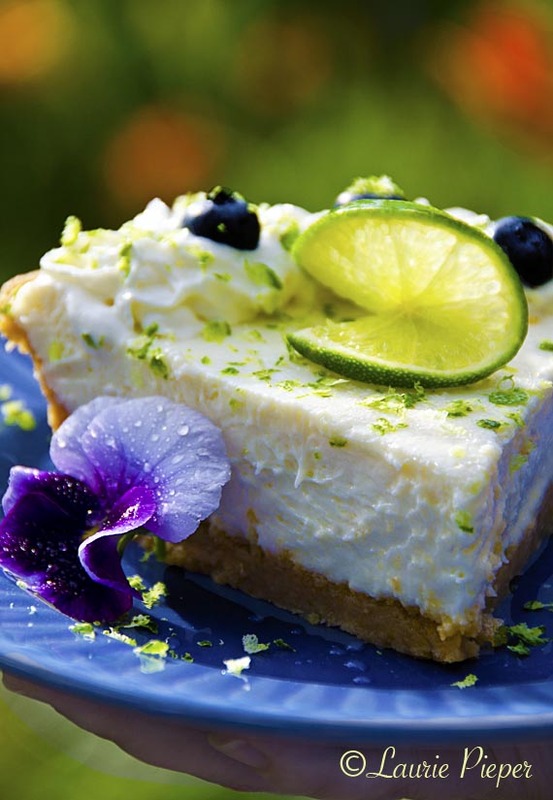 If there are any thyme flowers, set them aside for garnish. 5. When the spaghetti is cooked to desired consistency, drain well. Add the olive oil mixture to the pot that the pasta was cooked in. Return spaghetti to the pan and toss with the olive oil mixture. 6. Divide spaghetti between serving bowls. 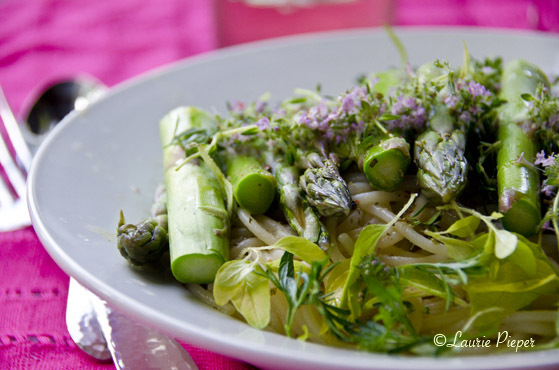 Top with fresh herbs and then with asparagus. 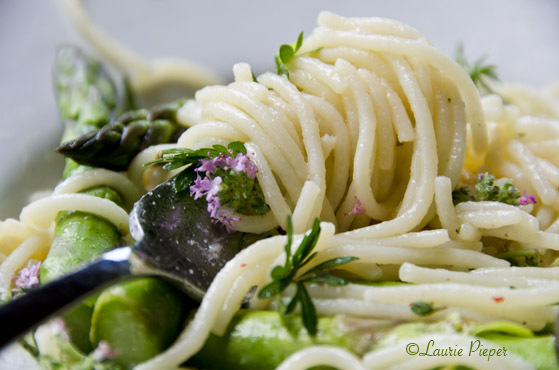 Squeeze a little more fresh lemon juice over asparagus and then grind a little more fresh pepper over dish. Garnish with thyme flowers if available. Serve immediately. Enjoy! Officially, the high in Manhattan (Kansas) yesterday was 96 degrees F; but the official temperature is taken at the airport outside of town, and is always lower than what you’ll find recorded on any thermometer in town. According to ours, it was 101. Downtown, we experience heat reflected off streets and buildings and generated by equipment. In fact, different neighborhoods, even different properties can seem to have their own miniature climate zones. The back yard of the house on the corner near us, for example, is always a few degrees warmer than ours because it receives more reflected heat from the brick of Seven Dolors Church. 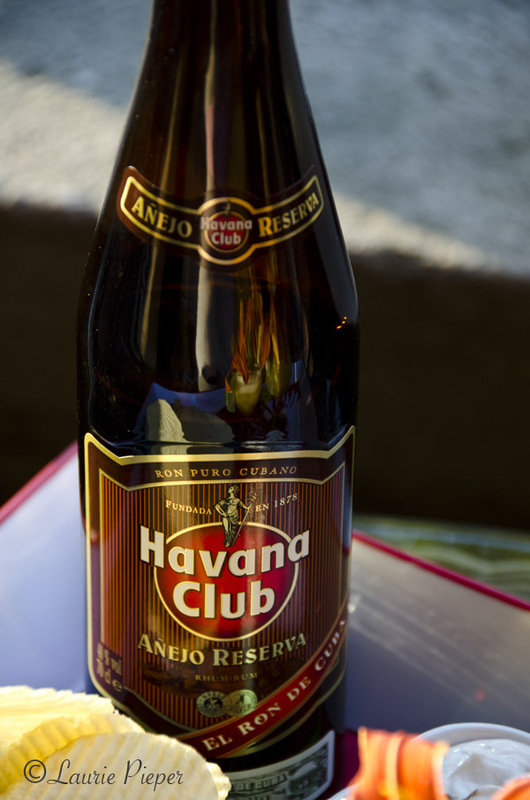 With the hot summer temperatures – though not as hot as they are likely to get later in the summer – one of our return guests surprised us yesterday with a bottle of Cuban Havana Club rum. 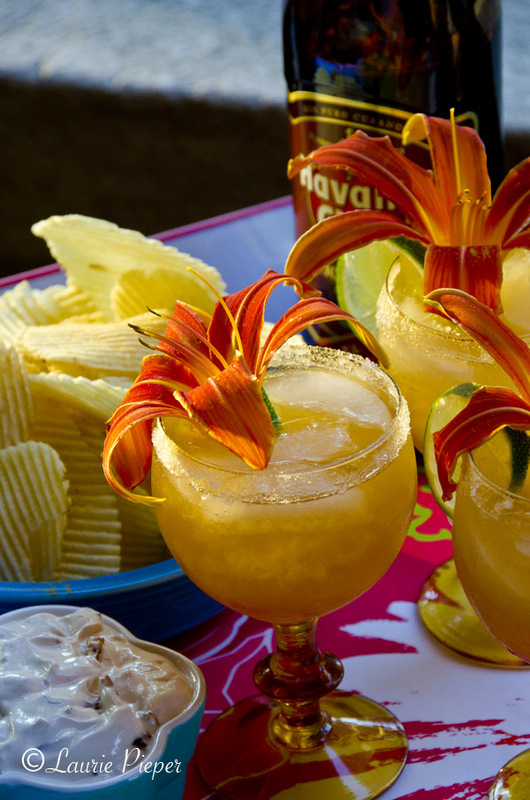 When someone shows up at your door with such a gift, and it is so very hot, what can you do but make Havanas, sit on the front porch, and relax? Line the rim of a cocktail glass with sugar. Combine ingredients in an ice-filled cocktail shaker, shake, and then strain into cocktail glass. Garnish with flower. I enjoy growing herbs and edible flowers. 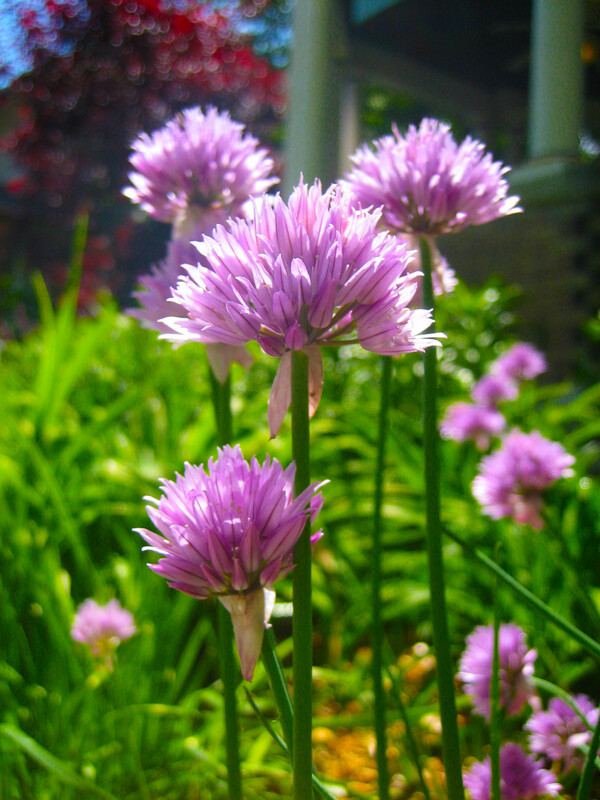 Chives are wonderful to grow because both the greens and the blossoms are edible. My favorite use for snipped chives is mixed into plain Greek yogurt with a little salt and pepper for a veggie dip. 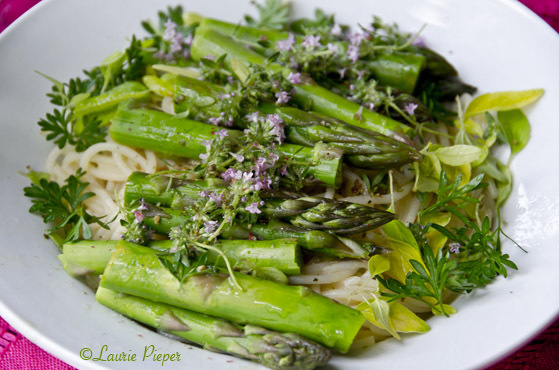 I use the chopped blossoms in salads and omelets and whole blossoms for garnishes. I just made a bottle of herbed vinegar with whole chive blossoms, snipped chives, golden oregano leaves and a peeled clove of garlic. To make vinegar wash herbs and shake well to dry. Add to a sterilized bottle. Top with white vinegar or a blend of white and rice wine vinegar. It is generally recommended that the vinegar be of 5% acidity. Seal bottle with a cork or plastic cap. Store in a cool dark place for several weeks. 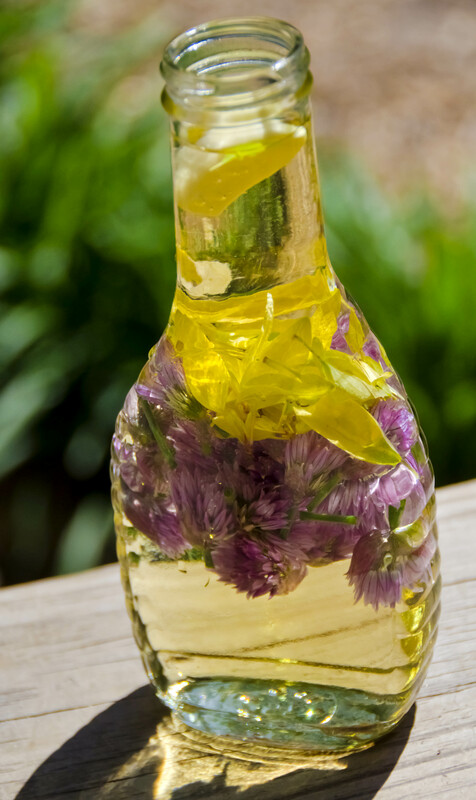 The flowers will have a bleached appearance and the vinegar will have picked up color from the herbs. Strain vinegar before using. Use in salad dressings or sprinkle on vegetables.